Daily activities may include visits to sacred sites, drives, and/or easy hikes with options for more demanding hikes. 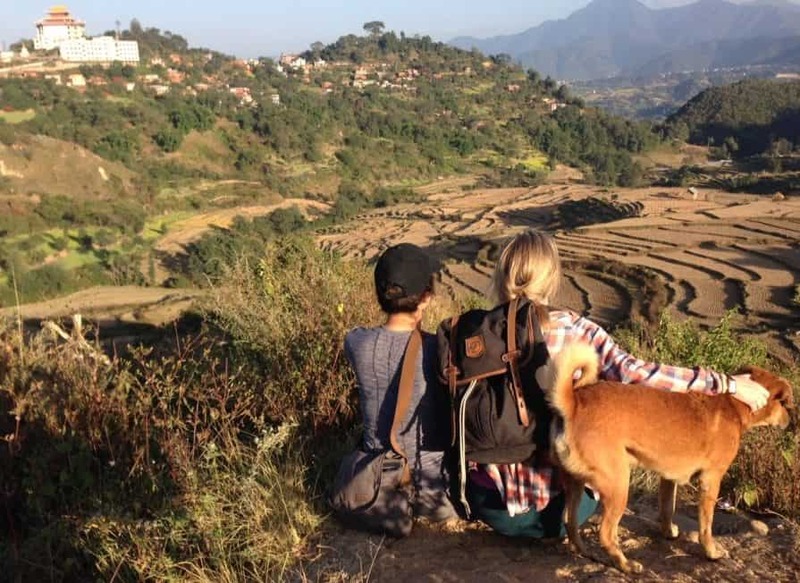 Casual journeys offer an immersive travel experience into the Himalayan Buddhist culture at an unbeatable value with some free time and plenty of choices built into the itineraries. Accommodations are comfortable, clean, well-located, and modest. 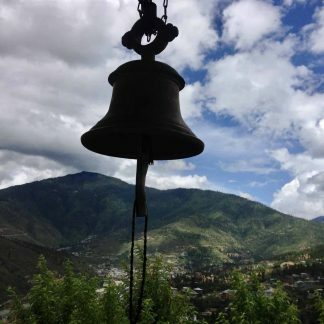 Trips are led by dynamic and experienced Himalayan Hermitage facilitators well versed in Buddhist studies and who have had a minimum of 5 years of daily meditation experience. All meals and activities are included and transportation is provided throughout. 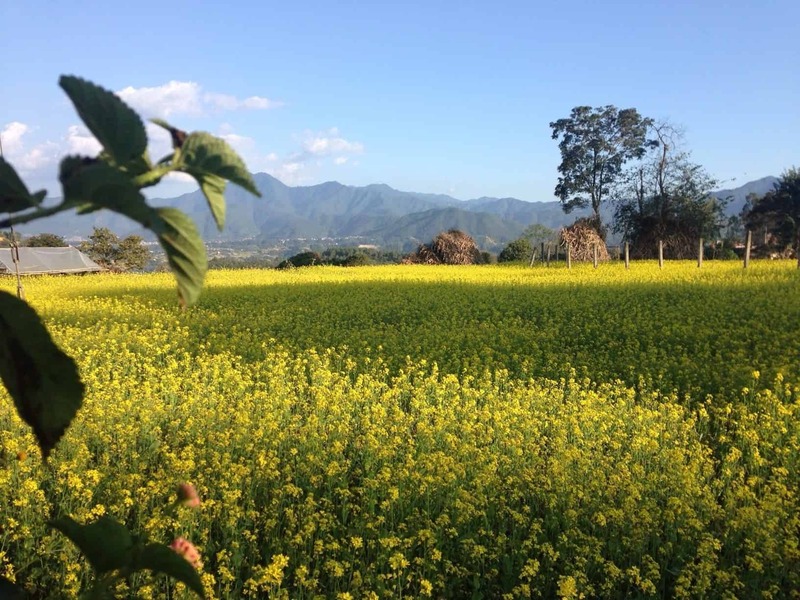 This weekend pilgrimage is held in the area of Pharping, located in the South-Western corner of the Kathmandu Valley. 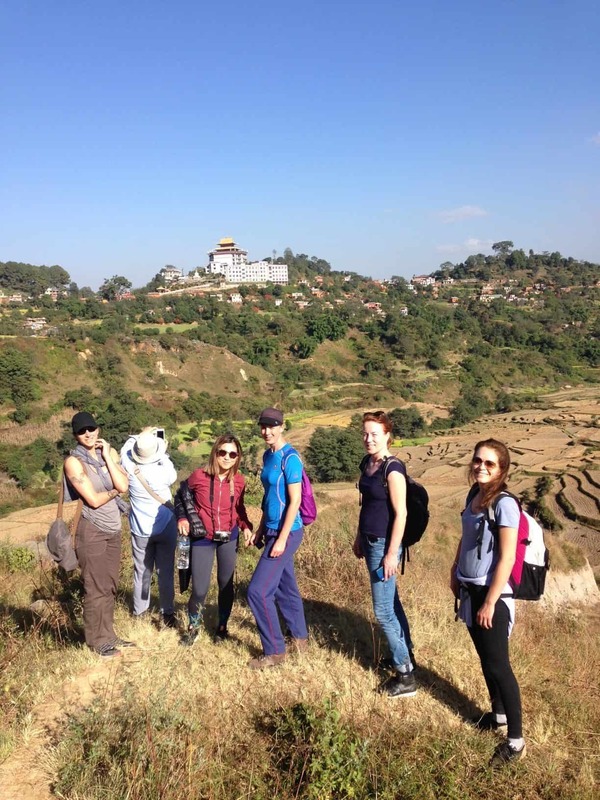 It is the ideal long weekend get-away if you are a resident of Kathmandu, wishing to further explore the Buddhist culture in Nepal and learn about Tibetan Buddhist meditation techniques, or if you are visiting Nepal and wish to take a few days out of of your programme and explore a sacred valley with many holy sites. The groups will be of maximum 10 people. 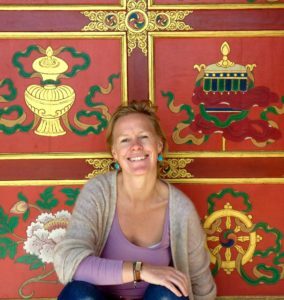 We stay at a Tibetan Buddhist monastery, host to some 100 monks located on a hill in the beautiful and sacred valley of Pharping, overlooking the entire Kathmandu Valley. 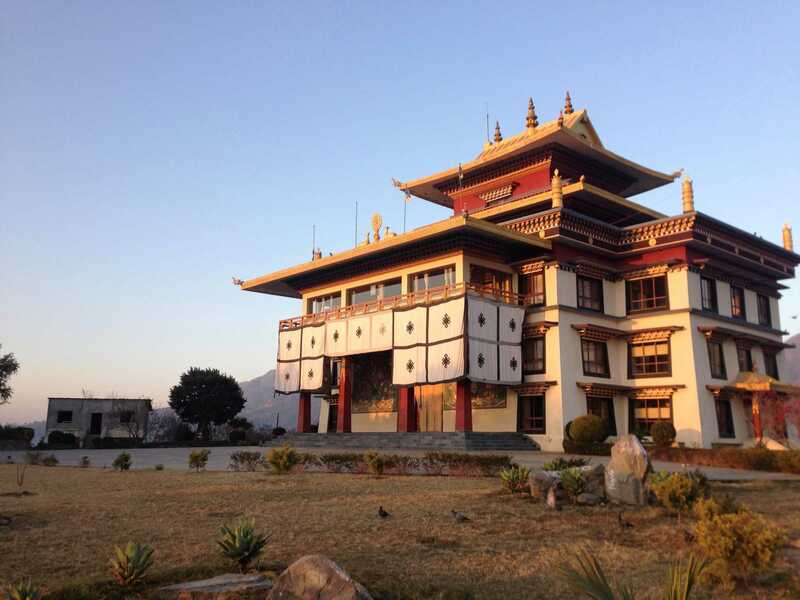 This gives us an incredible opportunity to witness Buddhist monks in their daily lives in in the monastery, while at the same time it offers us the perfect place and environment to learn about Tibetan Buddhist philosophy and Tibetan Buddhist meditation practices. 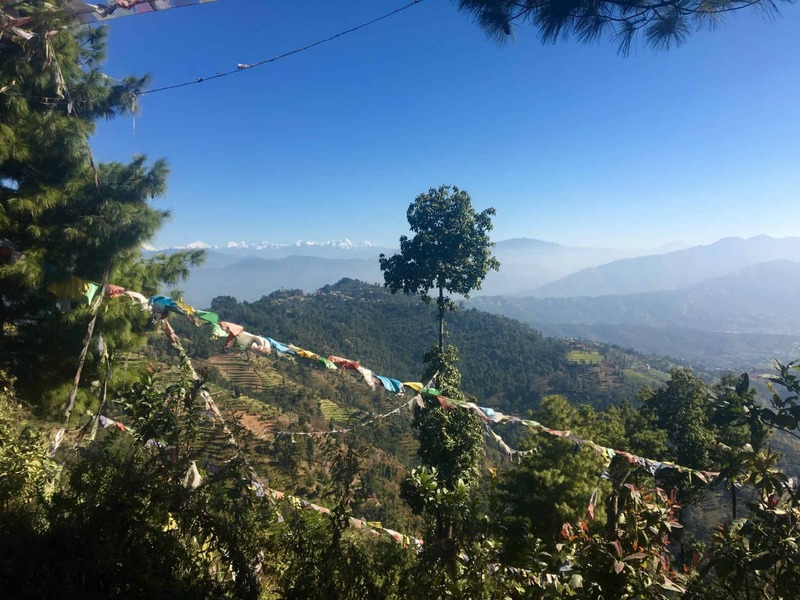 In the afternoons, we walk through rice fields to the Asura Cave – a Guru Rinpoche meditation cave, as well as walking through pine tree forrest up to Dudjom Rinpoche’s retreat land – one of the greatest Tibetan Buddhist masters of our time. The Tibetan Buddhist monastery guesthouse we stay serve delicious, vegetarian and organic meals and their rooms are very nice with own bath tub and hot water. 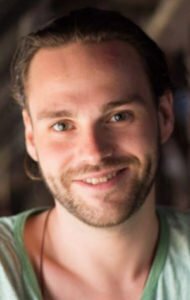 We gather at the Kathmandu Guesthouse’s parking lot in Thamel at 5 PM so people who have been to work get a chance to join us for our pilgrimage toward Pharping and the Tibetan Buddhist monastery. We arrive just in time for dinner at the guesthouse restaurant. After dinner from 8-9 PM we give an introduction to the weekend pilgrimage and wind down with meditation practice before bedtime. 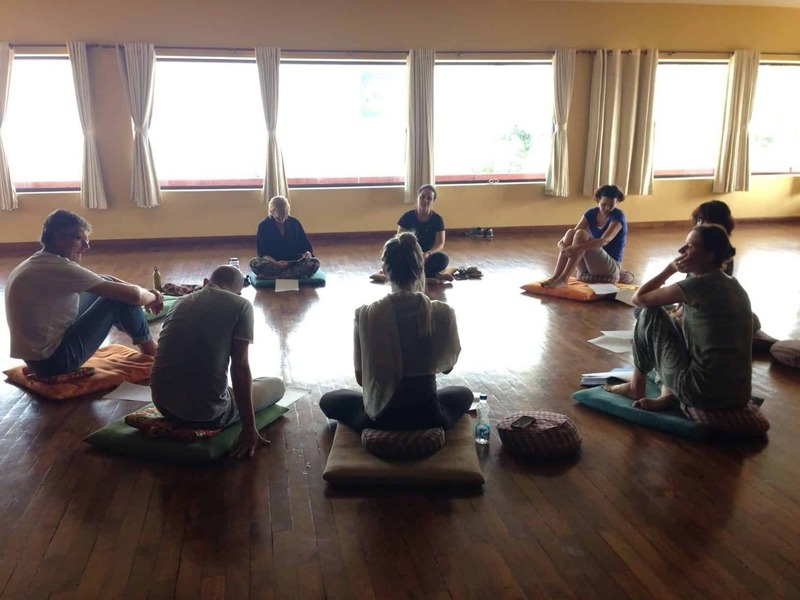 We start the day with morning meditation in the Monastery shrine room and after breakfast we continue our session on Tibetan Buddhist philosophy and storytelling of great, Buddhist masters of the Himalayan region. 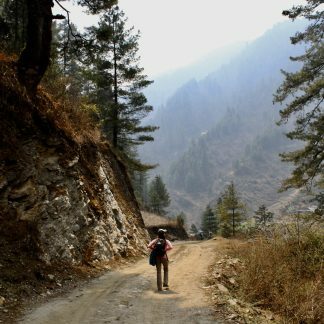 In the afternoon we become pilgrims as we hike through rice fields and local villages in the Pharping Valley. It is said that Padmasambhava attained his ultimate enlightenment in this place. 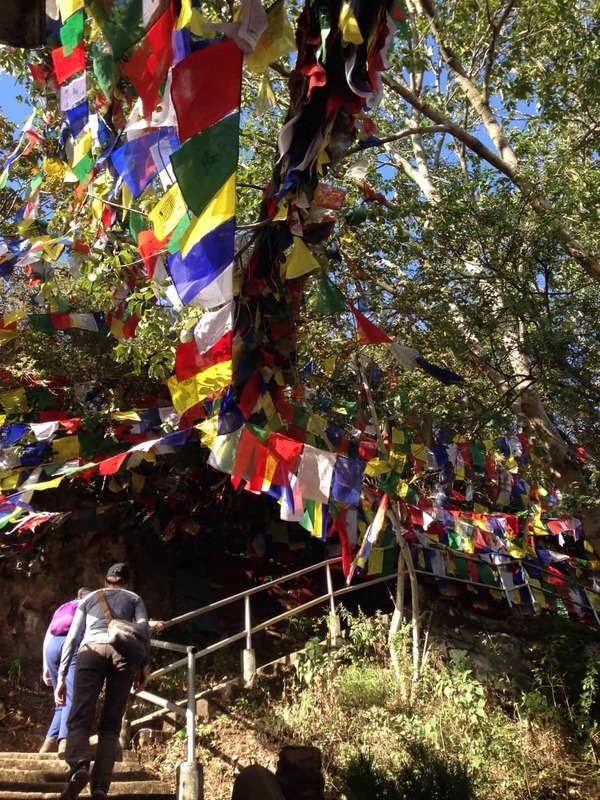 We visit the cave of the self-arisen Tara; manifesting naturally from inside the cave, a sacred Vajrayogini spot (Buddhist deity) and other Padmasambhava caves. We practice mediation after dinner. After lunch, we venture up the Haatiban hill through pine tree forest from the monastery to Dudjom Rinpoche’s retreat land, overlooking the Pharping Valley. 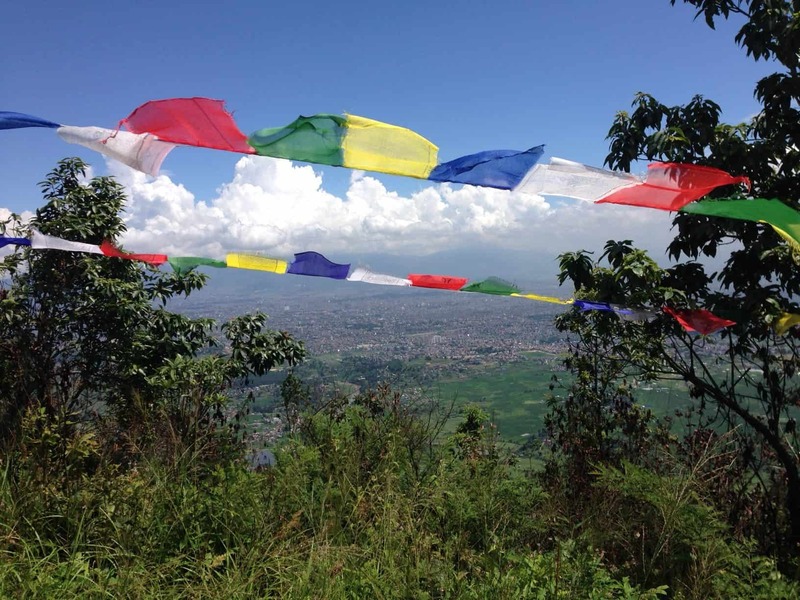 If weather permits, we are able to see the majestic Himalayas above the Kathmandu City. 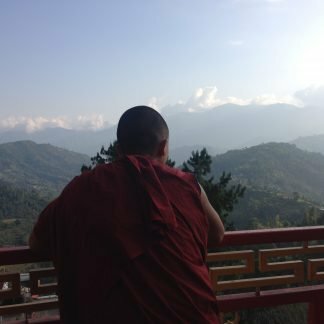 We talk about the tradition of doing solitary retreat within the Tibetan Buddhist tradition, and guide a session of meditation in the small shrine room. We return to the monastery in the afternoon and depart for Kathmandu at 5pm. There is no prerequisite for joining a pilgrimage, nor is it required to have any knowledge or experience with the practice of meditation. Simply, to have the wish to go deeper with one’s mind, and to have curiosity regarding its functions is enough. There is nothing religious about the practice of meditation or in visiting sacred places. In fact, there is nothing even Buddhist about it! The idea of pilgrimage here means that while we are exploring sacred sites, we are also investigating ourselves with a ‘tried & true’ internal/contemplative process called meditation. 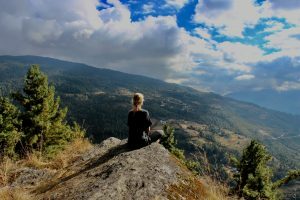 The practice of meditation is simply a tool to bring your mind back to a place of naked awareness, to a place of basic space with yourself and environment. It is simply a technique with which to uncover all the layers of hope, fear, grasping, and judgement that are all such strong habits which cloud the mind. With the practice of meditation we can learn to come back to ourselves, to become familiar with the groundless, unfabricated, and raw quality of reality. To secure your place in this journey please visit the ‘Book a Journey‘ page and follow through the 3 steps explained. We wholeheartedly look forward to having you on one of our journeys!